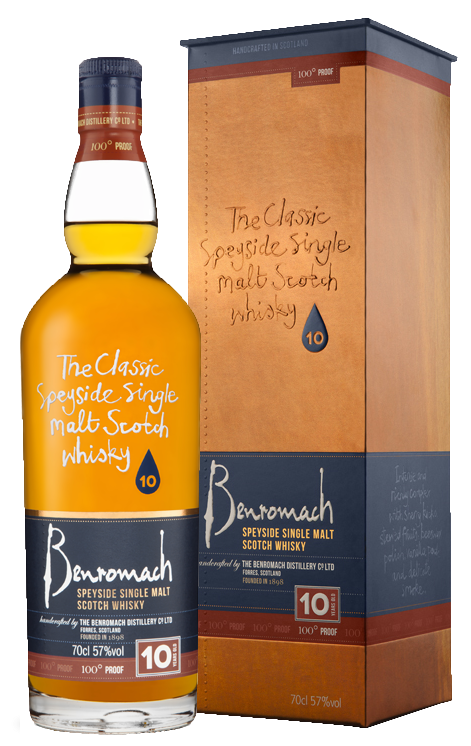 The flagship Benromach, matured in first-fill ex-Bourbon and ex-Sherry casks, married in Oloroso Sherry cask for the last year. 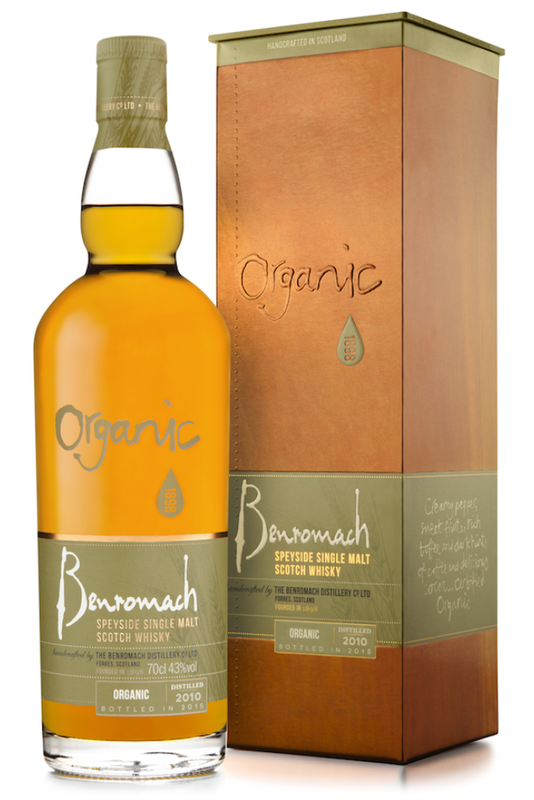 Made using local organic barley, and matured in an organic virgin oak cask. 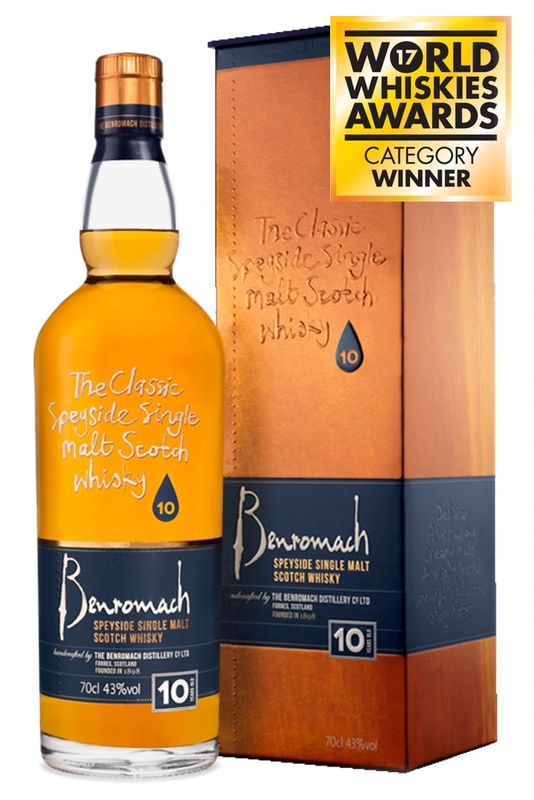 The big brother 10yo, bottled near to Cask Strength. 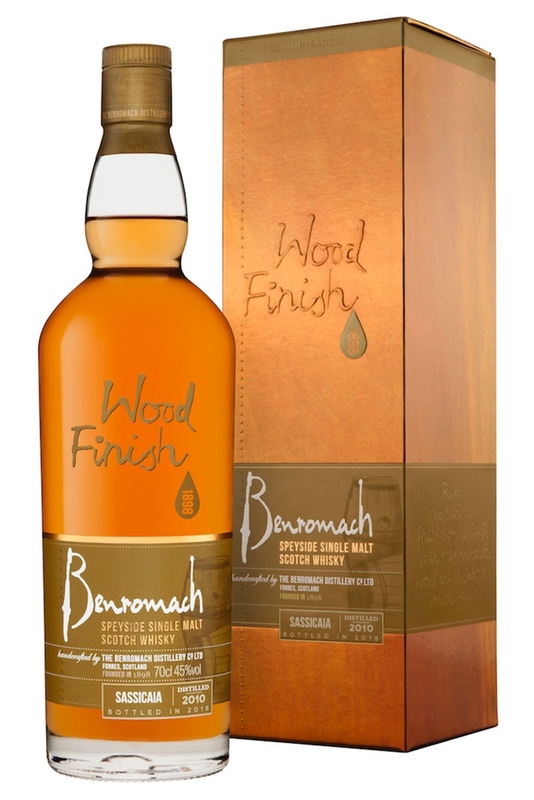 A delicious dram, finished in a super-Tuscan red wine cask for 24 months. 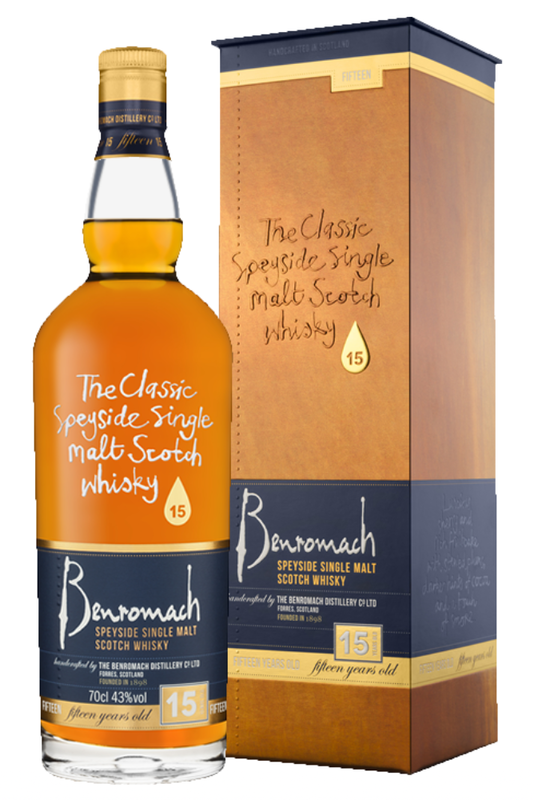 The Sherry-bomb Benromach, matured in first-fill ex-Bourbon and ex-Sherry casks, married in Oloroso Sherry cask for the six years. 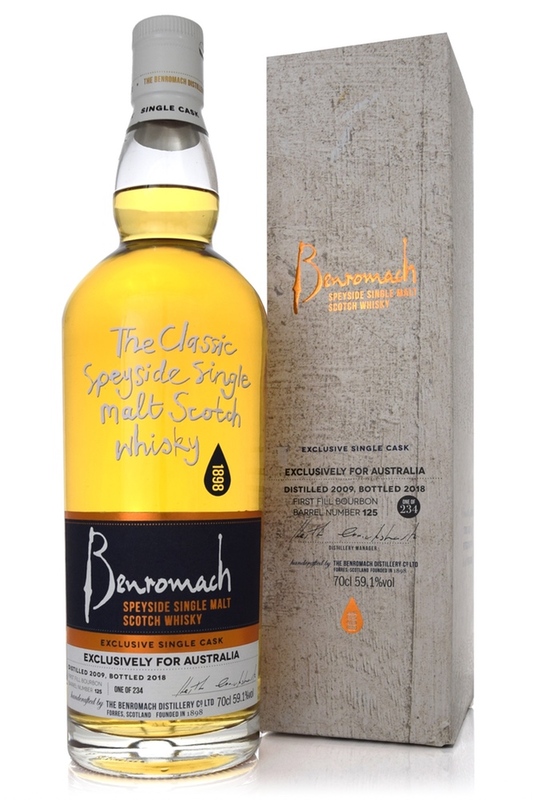 A very limited, ex-Bourbon cask bottled exclusively for Australia.